The Messages app is the default texting app on your Samsung Galaxy J3. When the error “Unfortunately, Messages has stopped” shows up whenever you open it, it just means the app crashes and stops working. When it happens you, of course, cannot continue using it and if it’s the only messaging app in your phone, texting would be impossible. Based on our experience, this kind of problem is kind of minor. Meaning, we may be able to fix it on our own without much of a trouble especially if it occurred without apparent reason. 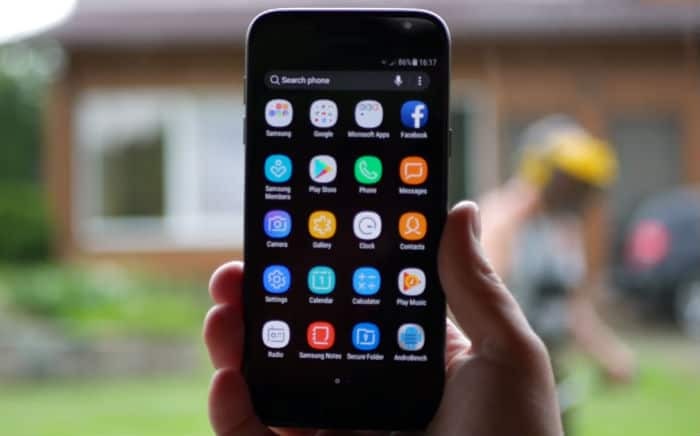 However, you have to take note that built-in apps are deeply rooted in the firmware, so there’s also a possibility that the problem with the app is just a sign of a looming serious firmware issue. We can do some troubleshooting procedures that will help us determine if this problem is fixable without any help from a technician. It’s always worth a shot doing something that can potentially fix the problem and we encourage you to do that as it may save you from a lot of trouble going to the shop and explaining the problem to the tech not to mention the hours you would spend waiting to get the phone fixed. Continue reading below as we may be able to help you get rid of the “Messages has stopped” error on your Galaxy J3. Before we jump right into our troubleshooting, if you have other issues, drop by our Galaxy J3 troubleshooting page for we have already addressed many issues with this phone since we started supporting it. Try to find problems that are similar with yours and use the troubleshooting procedures or solutions we suggested. Should you need further assistance from us, fill up our Android issues questionnaire and hit submit. Don’t worry, it’s free. Problem: Hello guys. I have a problem with my Galaxy J3 and I hope it’s not really serious. An error message “Unfortunately, Messages has stopped” has started showing up and I don’t know when. I can still continue using my phone normally except for texting because whenever I open the app for that, this message shows up instead of the app. There are only two options I can choose from when this error shows and neither fixes the problem. Either I hit OK or REPORT the app still closes and when I open it again the same error shows up. Can you please look into this problem and if you know how to fix it, can you please help me? Thanks in advance. Troubleshooting: Your Galaxy J3’s default text messaging app is Messages and the error actually notifies you that it crashed or stopped working for some unknown reason. Based on our experience, however, this kind of problem is often limited to the app and there’s a big possibility we can fix it without having to go through all troubleshooting procedures we often do to more serious app and firmware issues. Tap Messages in the default list or tap Menu icon > Show system apps to display pre-installed apps. If our suspicion that the problem is only with the app, then after doing this procedure, the error may already disappear and you may continue using your phone normally. However, if the error still shows up every time you try to compose or read text messages, then move on to the next step. It is also possible that the error is triggered by one of the apps you installed. While Messages is a built-in app, it may still affected by some third-party apps. It’s imperative you take time figuring out if one of the apps you downloaded from the Play Store or one of their services is causing this problem. So, in this step, I want you to reboot your phone in safe mode to temporarily disable all third-party elements in your phone. If the problem is caused by one of them, then the error shouldn’t show up while the device is in safe mode. While in this mode and the error doesn’t show up when you text, then you need to find out the third-party app that’s causing the problem and try updating it if there’s an available update, then try to reset it by clearing its cache and data, and lastly, you may uninstall it to probe even further. Tap the desired application in the default list or tap Menu icon > Show system apps to display pre-installed apps. You may have to do these procedures to all the apps you suspect are causing the problem and I want to tell you it takes up so much time. So, it’s all up to you if you want to go through all of this by yourself or have some professional check out your phone for you. If the problem still continues after doing all this, it’s time to move on to the next step. The cache partition is a directory wherein all system caches are stored. More often than not, these files get corrupted especially during firmware updates. When the phone continues to use corrupt caches (as it can’t detect if it’s corrupt or not), performance-related issues may occur and some apps may crash. When system caches get deleted, the phone will rebuild them the moment it reboots and if the problem is actually with the caches, then the procedure below may be able to fix it. Wait for the phone to become active after this as it rebuilds the caches and may take a minute or two to boot up. If the error still shows up when you open the texting app, then the next step should be done. After doing the previous steps and the error still won’t go away and you still can text, then this is the next thing you should do. It’s a very effective procedure and you may actually fix this problem with it. The catch is you will lose all your files and data especially those that are stored in your phone’s internal storage. So, make sure you make a backup of your important files and data, then disable the Factory Reset Protection so you won’t be locked out after the reset and then it’s time to reset your phone. After the reset don’t install apps nor restore your data. Instead, open the Messaging app and then send a test message to your own number. If the error won’t show up and you’ve actually sent and received the message, then problem fixed. Tap the back key twice to return to the Settings menu, then tap General Management. My personal j3 emerge won’t even turn on all of a sudden. It is only 3 months old. I have some serious data that needs to be recovered.